Words Unspoken is the stunning debut album from Reis Taylor Dixon, a British pianist/composer that I met earlier this year at the annual Whisperings Solo Piano Radio weekend near Seattle, WA. He gave me a copy of his album over breakfast before we all headed home, and if I’d had any idea of how good it is, I would have listened to it on the drive back to the Oregon Coast - probably all 6 1/2 hours of the drive! 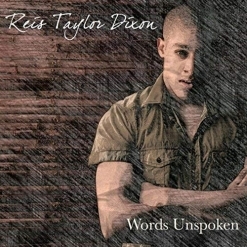 Words Unspoken was released in 2015 as a tribute to the older brother that Reis lost in 2008 when he was only 17. There is a spoken word bonus track at the end of the album that actually gives voice to those unspoken words. Inspired by the music of Ludovico Einaudi and Robin Spielberg, as well as the Romantic composers of the 19th century, Dixon started playing the piano when he was sixteen and was self-trained for a time. He attended Ninestiles Academy and then earned a BA Honours Degree in Music Performance and Professional Practice from Coventry Academy. Dixon promises a second album in the near-future, and that is an event I really look forward to! Words Unspoken begins with “Prelude of Hope,” a short piece that sets the tone and mood of the music that follows. “Dream Walk” has a beautifully flowing rhythm and an uncomplicated melody that expresses powerful emotions as well as the dream-like sense of unreality that comes with painful loss and terrible news. “As The Sun Sets” is lighter, but is also very pensive and reflective. “Contemplation” comes from a deep place within and feels very spontaneous - almost conversational. It’s also one of my favorites! “Into the Night” is a duet for piano and violin (Helena Logah) and is one of the more passionate and intense pieces on the album, calming near the end. “The Storm Cycle” is a three-movement work that begins with “Notes Before The Storm.” Starting quietly and gracefully, it gradually builds in tempo and intensity. “Wynter Raine” is the second movement and includes the sound of thunder as well as rain falling. Often very delicate and peaceful, it seems to reflect the calm and healing quality of a rainstorm. “The Abandoned Umbrella” is another favorite. Like the image of a broken doll, an abandoned umbrella can symbolize sadness and loss, as this heartfelt piece does. “Shadow Dance” begins with a short intro played with a different keyboard sound than the piano. As the title implies, the main piece is dark, expressing solitude and loss. As it unfolds, it becomes more intense and dramatic, and then calms. Helena Logah returns with her violin for most of the last couple of minutes of this gorgeous piece - another favorite. “Love Lost In Time” is the closing track and includes the “Words Unspoken” poem that was created by Phillip Simpson and Dixon, and is spoken by Simpson. Words Unspoken is truly an exceptional album by an artist on his way up. I can’t wait to hear Reis Taylor Dixon’s next album, and will continue to enjoy this one in the meantime. The album is available from Amazon and iTunes. Very highly recommended!